It’s July 3. No it isn’t! But it is in this paragraph. It’s July 3, and it’s Texas, and it’s the bottom of the sixth of a game between the Rangers and the Mariners. There’s a score, but it doesn’t matter. Adrian Beltre leads off against Felix Hernandez, and on the third pitch, Beltre blasts an automatic double to right-center field, Dustin Ackley watching as the ball bounces over the fence. 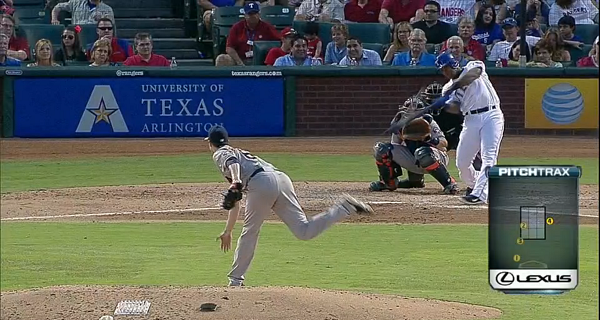 Beltre coasts into second, and he tries to get Hernandez’s ear. Hernandez, in turn, tries not to listen, but Beltre keeps boasting. Hernandez looks back at second before throwing his next pitch. The first thing that makes Beltre easy to love is his talent. He’s a power hitter who doubles as one of the greatest defensive third basemen in recent history. The second thing is his drive. Beltre, as you’ve surely heard, once played through a destroyed testicle, and even scored the winning run. And the third thing is his personality. Beltre has an endearing sense of humor, and he’s also got his quirks. His happy feet, his aversion to being touched on the head, his rivalry with Felix Hernandez. Beltre and Hernandez are always playfully talking trash whenever they go head-to-head, and for Beltre, this particular double was revenge for the plate appearance prior. 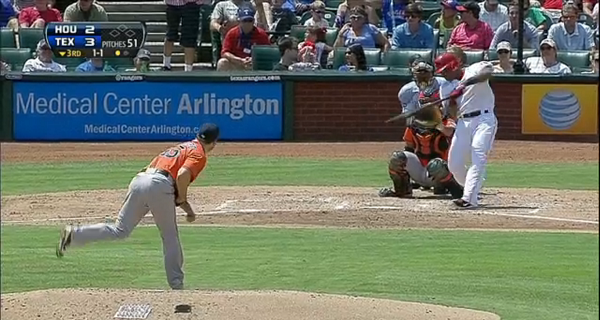 Beltre had faced Hernandez earlier, in the fourth inning. With the count 2-and-2, Hernandez got Beltre to chase and get himself out. The two stared each other down, and any observer who didn’t know about the personal history might’ve figured there was mutual bad blood. That’s the thing — Hernandez and Beltre frequently look like they’re arguing. Sometimes fun can have the visual appearance of mean. One time Beltre was even ejected for yelling at Hernandez, because the umpire thought Beltre was yelling about a call. At this point, though, the relationship is pretty well and widely understood. Also, that’s the last time Adrian Beltre struck out. Beginning with that double, Beltre has batted 78 times since the bottom of the sixth on July 3. He’s drawn four walks, two of them intentional. He’s hit three doubles, and he’s mashed eight dingers. He’s scored 11 runs. He hasn’t struck out. Let me just say that again: Adrian Beltre hasn’t struck out once over his last 78 plate appearances. This is a streak, and this streak is still active. And Beltre gets the asterisk because he could conceivably still add to his streak. All the other long ones are over. Just for good measure, this is also longer than any such streak in 2012. Beltre has the longest streak without a strikeout since 2011, and his streak isn’t over yet, and league-wide strikeout rates have been rising, making these streaks ever more difficult. And while a streak of making contact isn’t necessarily the same as a streak of making good contact, Beltre has been obliterating the ball. Over the stretch, he’s batted .375. He’s OBP’d .423, and he’s slugged .764, with 11 extra-base hits. 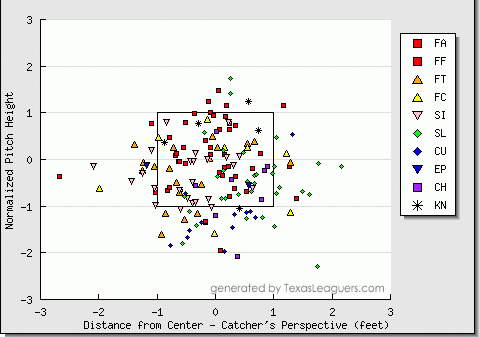 By eliminating strikeouts, Beltre didn’t start spraying the infield with weak dribblers. 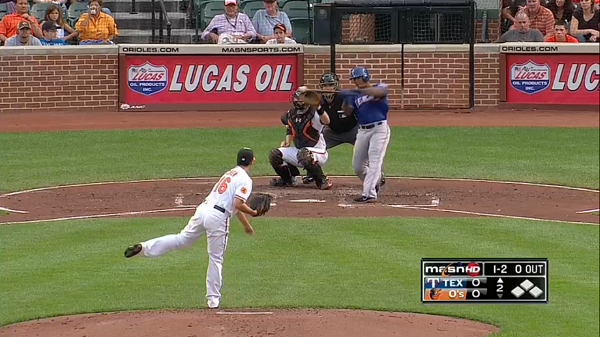 He turned himself into Chris Davis, but without any of the strikeouts. Hold on, let me think of a better comparison. There have been plenty of strikeout opportunities. 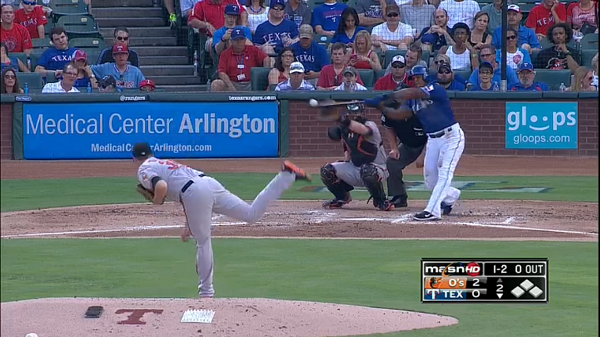 Beltre just hasn’t struck out. He will strike out at some point again, maybe even on Friday, but what he’s already done is remarkable and it’s unlikely to be surpassed any time soon. 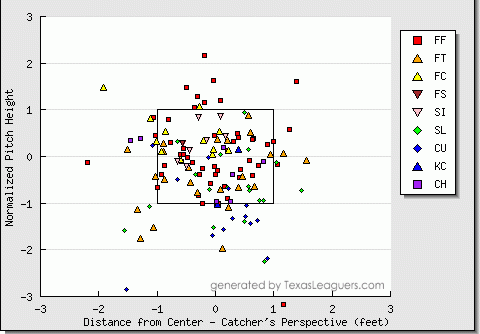 So, what, has Beltre refined his batting approach? Here are two graphs of swings, from Texas Leaguers. One covers the span of his contact streak, while one covers the rest of his season. Are you able to tell the difference? Truth be told, here’s the big change: before the streak, Beltre had an in-zone swing rate of 64%. During the streak, it’s been 74%. And, naturally, his contact rates have been way higher. He’s made more contact on pitches out of the zone, and he’s made more contact on pitches in the zone. He’s swung at more than half of the pitches he’s seen, and 93% of the time, he’s at least touched the baseball. More often, he’s touched it rather firmly. Adrian Beltre hasn’t become disciplined; he’s just been successfully aggressive. As league strikeouts have gone up, Beltre’s strikeouts have gone down. In 2006, Beltre had a strikeout rate 3% above the league average. So far this year, his strikeout rate is half the league average, and he’s still running extraordinary power numbers. Beltre isn’t really walking much, but he’s never walked much, so there’s not anything there to really sacrifice. Beltre’s just gotten older and started hitting the ball more. That’s one of the reasons why he’s a 34-year-old borderline superstar. Adrian Beltre has Alcides Escobar‘s swing rates, Ichiro’s whiff rate, and Mark Trumbo’s isolated power. Adrian Beltre has baseball’s longest streak of not striking out. Players aren’t supposed to age in the way that Adrian Beltre has, but then, he’s always been one of a kind. We hoped you liked reading Adrian Beltre, the Everything-Hitter by Jeff Sullivan! I have no idea why he didn’t hit homers in SafeCo. 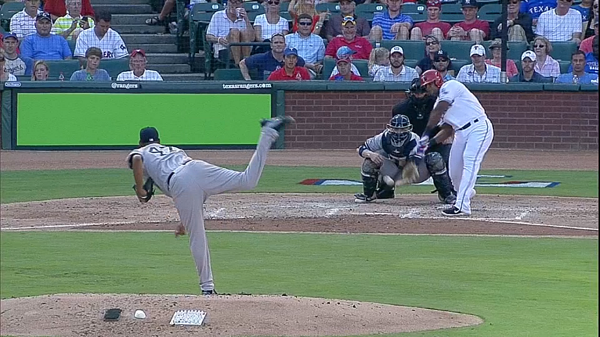 I know it suppresses homers, but Beltre doesn’t exactly barely loft them over the wall. Was he flying out the warning track like 3 times a game or something? Meh, Ive always thought his lack of homerun power in Seattle has been overrated. 53 of his 368 career taters have come at Safeco. He wasnt bad, he just didnt quite live up to the contract. Outside of his insane 2004 season he actually put up better numbers in Seattle than he did in LA. Couldn’t isolate by stadium, though.